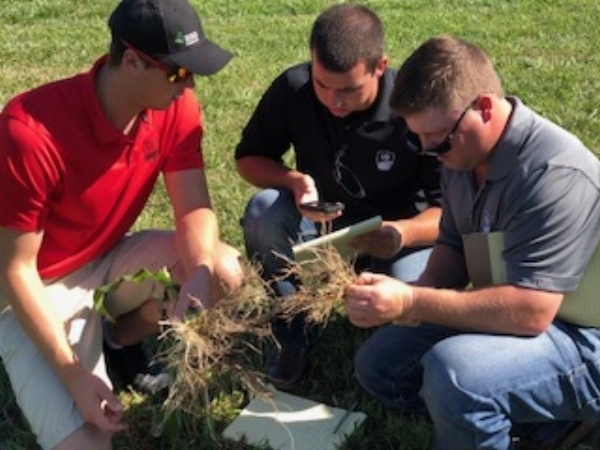 Brayden Dues, a recent graduate from the Agronomy program at Wilmington College in Ohio, has been learning a ton during his Rising STAR Partner internship with LG Seeds. After hearing about the internship from an LG Seeds employee, Brayden thought this position would provide a great opportunity to dive head first into the seed business. He wanted to get a hands-on experience in what it takes to be a seed dealer. This summer, Brayden visited many farmers and worked to raise awareness of the LG Seeds brand, Advantage Acre, and his potential dealership. Between scouting fields, walking plots, and gaining knowledge about products, he made sure to put up many field signs. “I have been doing what I can to help farmers grow the best crops possible while getting the greatest return on their investment,” he explained. Brayden’s future plans are to become a seed dealer, help on the family farm, and see what other opportunities present themselves. When Corey Ring heard about the Rising STAR Partner internship, he couldn’t pass up the opportunity to potentially become a seed dealer for LG Seeds. Corey studied Plant and Environmental Soil Science at Texas A&M University. He enjoys being involved in the agriculture industry and is looking forward to continuing his journey as a Rising STAR Partner. Halfway through the summer, Corey had already met with 10 potential farmer customers and is making appointments for a second meeting to learn more about their individual operations. “I look forward to finding seed solutions with LG Seeds to help farmers improve their operations,” he says. Corey plans on successfully farming in south Texas where he grows corn, sorghum, and cotton. Not only that, but he plans on operating a successful, large dealership as a STAR Partner for LG Seeds. Meet Blake Arnold, a Rising STAR Partner intern from Iowa State University. As a sophomore studying Agricultural Business, Blake thought the Rising STAR Partner program sounded like a great opportunity to begin a career in the seed industry. Since his week of training at AgReliant Genetics headquarters in Westfield, Indiana, Blake has been prospecting growers and learning from current LG Seeds employees. 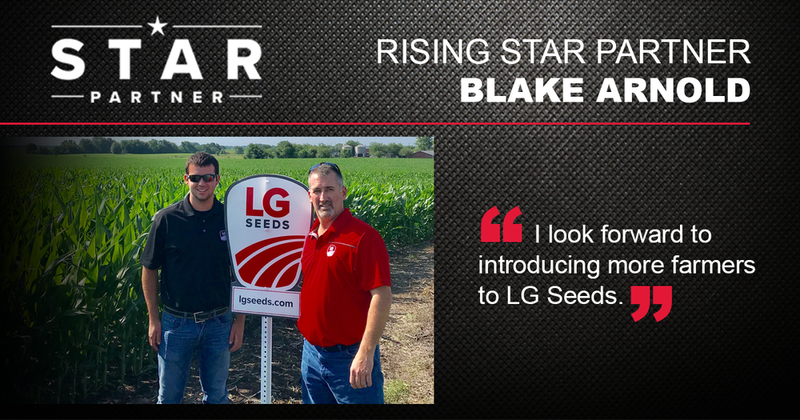 After obtaining his degree from Iowa State, Blake plans to return to the family farm and become an LG Seeds STAR Partner. Our Rising STAR Partner intern Jacob Mehlhouse found the program on a whim. What was next? A summer full of training, opportunity, and growth. A senior at North Dakota State University studying Crop and Weed Sciences with a minor in Agricultural Business, Jacob received an email from a professor about the Rising STAR Partner opportunity. The Rising STAR Partner interns received training during the month of June. 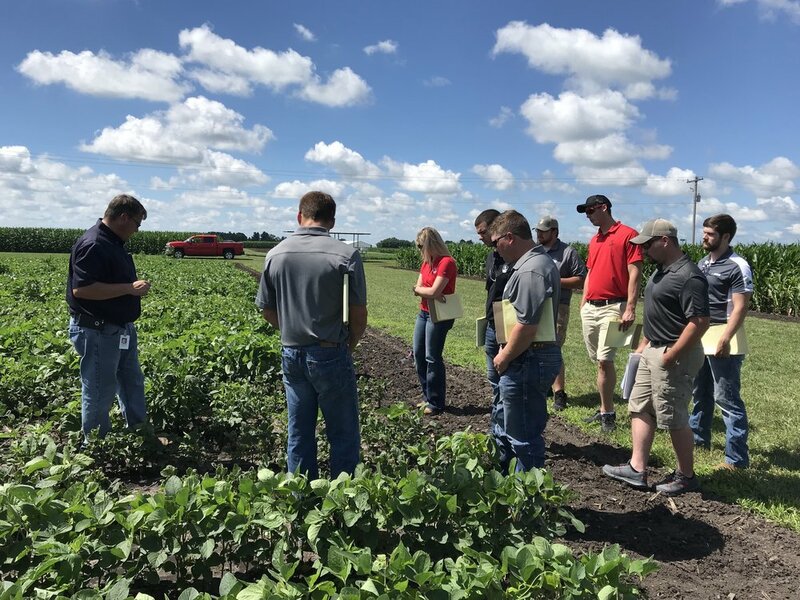 They spent a week together at AgReliant headquarters in Westfield, Indiana where they completed a series of in-depth training sessions on everything from genetics, sales, business-management, agronomy, and more. Since then, Jacob has met with Technical Team Agronomists, Sales Account Managers, growers, and prospects. In the future, Jacob hopes to expand upon this internship and become a STAR Partner for LG Seeds.